This is an intellectual biography of G.L.S. Shackle, economic theorist, philosopher, and historian of economic theory. 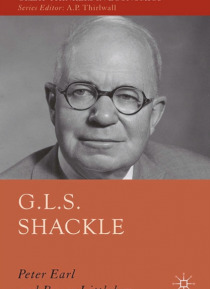 It explores how Shackle challenged the aims, methods and assumptions of mainstream economics. He stressed macroeconomic instability, and developed a radically subjectivist theory for behavioural economics and business planning.